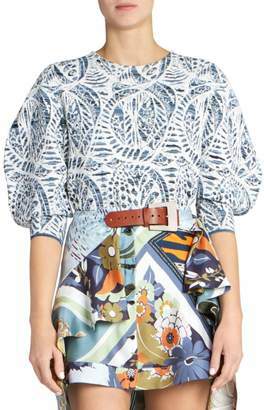 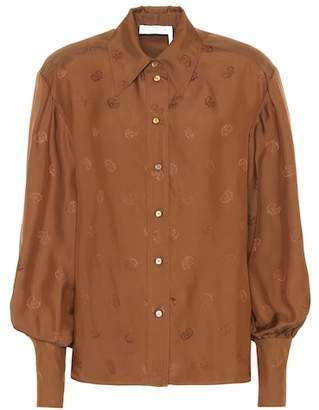 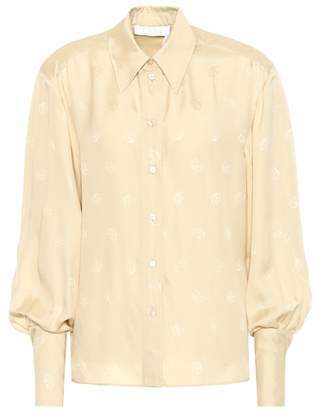 Chloé evokes a youthful and romantic spirit in collections that are soft, fluid and feminine with an urban edge. 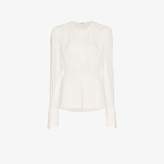 Think city essentials rendered in butter-soft materials. 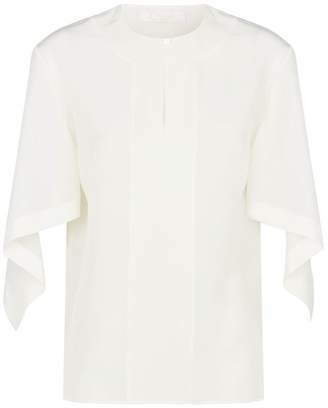 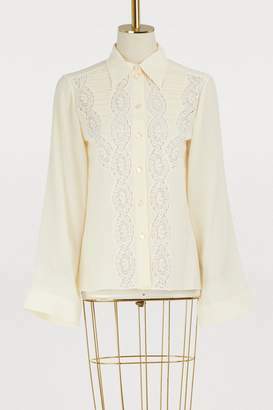 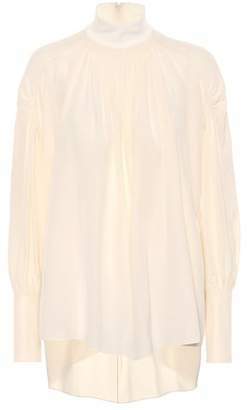 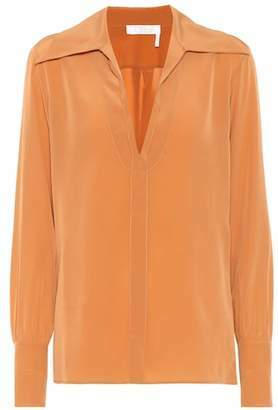 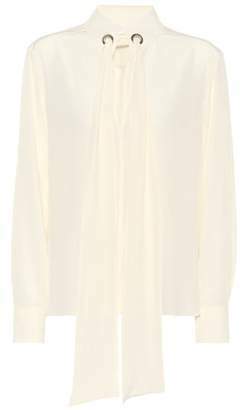 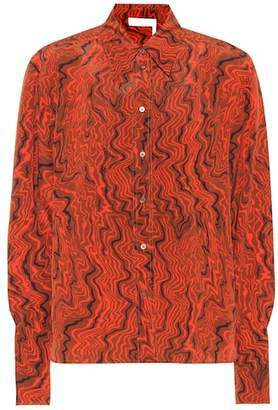 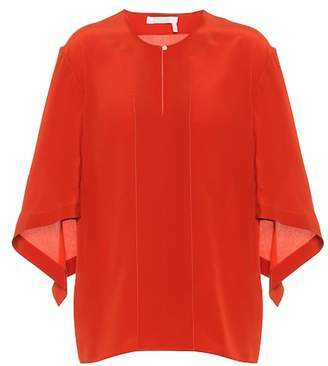 Crafted in France, this white sheer gathered silk blouse from Chloé features a round neck, long sleeves, a pleated design, a concealed rear zip fastening, a front slit and fitted tie cuffs.